Love Can Cost You A Lot! And it cost Christopher Forte and his parents over $247 thousand. Christopher admits, he was totally smitten in love with his ex-wife Juliana Posman and was blinded by love. He reportedly gave into his ex-wife's demands for money for she said that she needed to show she had assets of $7.02 million (£5 million) for a visa. Christopher who was a boarder at Lancing College claims she took $63205.65 from him and another $184649.98 from his parents. But, Juliana was apparently using the cash on betting and also had borrowed $3.52 million from two businessmen, claimed Daily Mail. Gambling addiction is one of the worst because of the damage it does families. She didn’t marry me for my money, but maybe she saw I was a soft touch. She doesn’t deserve a visa. The pair met in 2010 while working for an IT firm in Egham, Surrey. 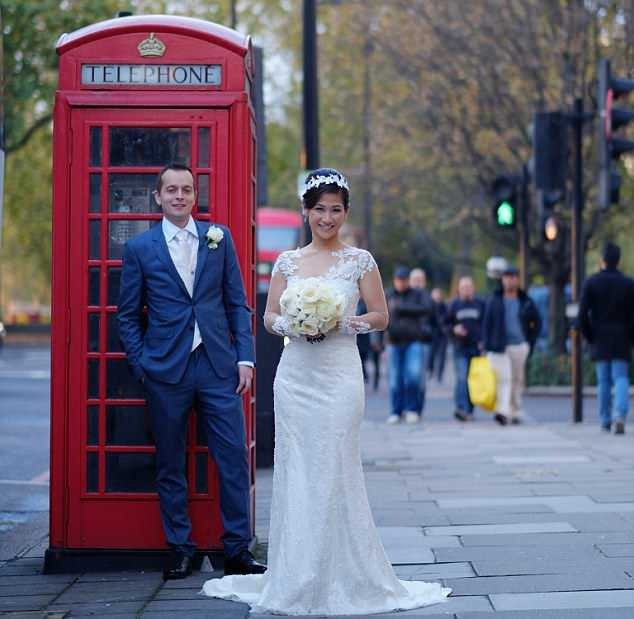 They tied the knot in a lavish wedding ceremony worth $281200 at the Grosvenor Hotel in London. After their marriage and honeymoon in Bali, Christopher started working as a foreign English language teacher in Brighton while Juliana was making $126,540 annually from a credit and law firm. Despite making her own making she soon started asking her husband for loans in name of getting a visa. Juliana, 38, repeatedly demanded money, and he could do nothing but to obey for he was in so much love with her. She’d be crying as she asked me if I could raid my savings, sell my Premium Bonds, or ask my parents. If I asked any questions she’d get more upset, say I didn’t trust her, and walk out saying 'You don’t want me any more'. Finally, Juliana ran out of luck and her story was unraveled and she admitted spending several million spread betting.